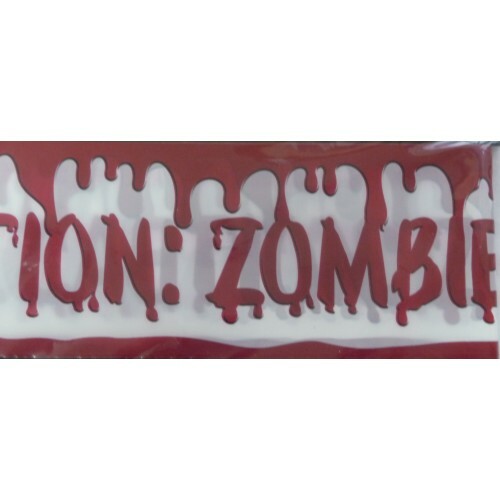 Zombie themed parties are very popular so this halloween party tape would make a great addition to the decorations for your next party. 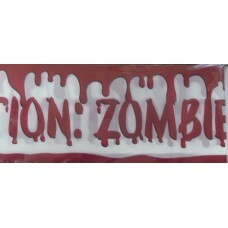 This halloween plastic party tape is non-adhesive, red and white with the repeating words "Caution: Zombie Zone" printed on one side only. The pattern on this fright tape is repeated in one continuous length measuring 6.5cm wide by 9.1m long. A great ghoulish design on this banner. Having a horror themed birthday party, then take a look at some halloween party tape to add to your ..